Last year it was a doggy dog world, however it’s time for the pig to come out of its sty to take the crown! Here at Star Sign Style we’ve enlisted the help of feng shui guru Thierry Chow, to shed light on what’s in store for each sign. 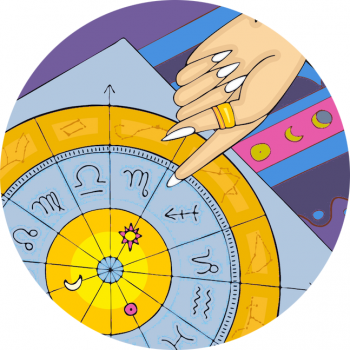 She shares her horoscope predictions for 2019 across the areas that count: love, health and career. Read on to discover how to boost your prosperity during the Year of the Pig. Year Of The Earth Pig, February 5, 2019, until January 25, 2020. Your Horoscope For The Year Of The Pig! Year Of The Pig Horoscope, For The Rat! Good news for the rat, there’s nothing standing in your way this year, so expect a positive and smooth 2019. A year of personal growth, it’s is best to focus your energy on self reflection and self enlightenment. Love It’s a good year to learn to love, not only others but most importantly yourself. Spend a little bit more quality time with number one, and you will find new qualities to fall head over heels with. Health You’ll be focusing a lot on health this year, and this goes hand in hand with your personal growth; expect elevation from both these areas, Rat. Career Time to take your career into a whole new level! Try new things, go into a new direction; best to be a little adventurous this year. Pack your travelling bags! There’s a lucky star showering its influence on the Ox in 2019, a star representing shifts and movements. Although this means the energy in 2019 is unstable for you, expect to travel a lot – for work or in life in general! Love There’s much positive energy in the love sector for you Ox, but remember communication is key to loving relationships, especially this year. Health It’s good to take care of yourself, and this year is a positive time to make sure you do just that – despite a busy schedule. Finding balance is key. Career Busy busy busy, you will find yourself overwhelmed by work; remember to take a breather when necessary, you’ll need it. Year Of The Pig Horoscope, For The Tiger! Love is all you need Tiger! Luck is in store for you around your sense of partnership, so unions, gathering together, and relationships are in store. Expect a year filled with love, bonding, and respect. Love Love is in the air! You’ll find sweetness in your personal relationships, and will find love among friends and family. Enjoy! Health You will feel the strong urge to be better this year with your health goals, making extra effort to become healthier – mentally and physically. Career Partnership is strong this year for your career; meeting the right partner can help you succeed in your career or you can find a business partner. Good news is on the way for the rabbit, as stars are aligned to create an amazing 2019! This year is all about positivity, you will be surrounded by it, and will learn how to get more of it with ease. Love I can hear love songs, sang by you and by those around you, don’t let it stop! Health A good year to step up your health – seek healthy new recipes, discover the exercise that fits you best and you’ll find yourself healthy and happy. Career A great year for career, it’s time to also step back and observe what you’ve done and accomplished so far. A year to be proud. Year Of The Pig Horoscope, For The Dragon! A much more stable year is in store for the dragon in 2019. Last year was filled with change and uncertainty, and now you can finally settle, making decisions across many important facets in life. It’s good time to build a solid foundation, and remember, don’t rush into it. Love Finding love is your goal this year. There may be some challenges but that’s ok because you’ll learn valuable things in the process. Health Focus on your mental / emotional side this year, Dragon. It’s good to start step by step, and really be aware of how you feel – trust your intuition more. Career It’s a great start, don’t worry, things are looking better this year, it may take time but stay positive. Prepare for things to really change this year, Snake, this goes for every aspect of your life. Remember, change is great for growth; through the changes you experience there will be valuable opportunities for growth in self esteem, and self assurance. Love Some challenges lie ahead, but not to worry, you can handle with patience and love. What’s most important is you see the truth. Health A challenging year for health, it is advised to take it easy! Sleep, eat and rest well. Career There’s lots of changes at work this year, there’s a big chance to move office, department and even the job itself. Year Of The Pig Horoscope, For The Horse! This year you’re likely to find out a lot about friendships and relationships – from the structure to the core of your relationships – and, you’ll find when you are most vulnerable who are the ones to help you back up. Love Love is tricky and at times seems hard to grasp, but not to worry, love is actually simple when you stop overthinking. Health This year, you may allow yourself to focus more on recovering or rebuilding your health. Allow more time for this aspect of your life. Career Great year for career, but there will be moments of self doubt, and self judgement. Remember to step back and allow yourself to be aware of these negative emotions. Many good things and good news is ushered in for the Sheep in 2019. Things seems to be going well, however current shifts can be overwhelming, too. Even though there are happy events, take breaks and let yourself clear your head a little. Love For love this year remember you need communication, patience, and balance, and for those looking for love, this year you will be able to find good match. Health Eat healthy is the moto this year for you, finding some new recipes to cook, or even reading on healthy eating is recommended. Career It’s not a bad time to take little break, there’s much needed space for re organising work schedules and work habits. Year Of The Pig Horoscope, For The Monkey! Watch your overall energy this year, my Monkey friend. There’s the chance of misunderstanding, miscommunications and more when it comes to relationships, work life and even your health. Love Being more aware of your emotions and how you feel is important, but also remember communicate with those around you now, particularly about how you feel. It’s going to help a lot this year. Health Some challenges ahead, especially with health issues that have been accumulating for last few years. But don’t worry, you will handle with grace. Career Pay more attention to the small details regarding the relationships with people you work with. This will help navigate any potential misunderstandings. Time to prepare for a full-on and busy year, sweet Rooster! Expect a lot of travel, shifts, and movement, especially in terms of your career. It will be a good year to learn time management. Love Focus on your sensitivities this year, and learn to manage your feelings, both positive and negative. You will find something new and useful in this practice this year. Health Not a bad year for health, but a good time to step up the health routine, either eating, exercise or both! Career Off to a good start, though hard work and plenty effort is needed this year to have good results. But it’s totally worth it. Year Of The Pig Horoscope, For The Dog! Any stressful situations from 2018 will begin to shift, however remember to give yourself a bit of time to recover. Things are still a little unstable during the beginning of the year, but you will find yourself at peace in no time. Love You will find love this year, but first to look within yourself, and make sure you learn to love yourself before you try lovin’ on someone else. Health Off to a good start but take care of your sleeping habits. Make sure to get enough rest and sleep well, it is one of the best way to heal. Love A good year to get married, or consider having children! And if not, try to attend weddings as often as possible. The positivity of happy unions will help you to be more positive. Health A shaky year for health. Remember to prepare a good foundation for yourself – exercise and healthy eating are key, as well as keeping a peaceful mind, which will work wonders for your body. Career There will be challenges in this aspect throughout the year, however don’t worry! Remember to step back when tough situations arise, remaining mindful.